QUESTION: My mom is a green card holder. She is 73. She has been a resident since 2002. Does she have to be able to read and write English in order to apply for US citizenship? She cannot read or write even in her native language. THE IMMIGRATION ANSWER MAN: As a general rule, applicants for US citizenship through naturalization must be able to demonstrate a basic ability to read, write and understand English. Applicants for naturalization must also be able to pass a civics exam in English, where the person is asked questions about US history and government. 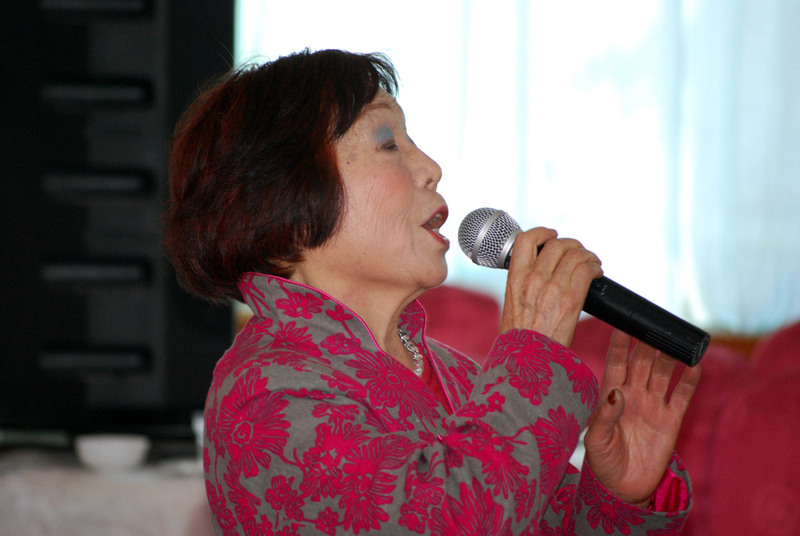 ho is over 55 and has lived in the US as a Permanent Resident for at least 15 years. These applicants do not have to be able to read or write English. They still have to pass the civics exam, but the exam can be given in their native language. Someone who is over 65 and has been living in the US as a Permanent Resident for at least 20 years is eligible to take an easier version of the civics exam, where they are only asked 10 questions from a list of 25 questions (the normal civics exam is 10 questions out of 100 available questions). Medical Waiver: Someone who has a physical, developmental, or mental disability or impairment that causes the person to be unable to learn English or to learn the information necessary to pass the civics exam can receive a waiver from the English or civics exam requirement. However it is not easy to obtain such a waiver due to the very strict requirements for such a waiver. An experienced immigration lawyer should be retained to assist in the preparation of such a waiver. So in the situation presented by the author of this question, his mother would not be eligible for an age-based exception. Although she is over 55, she has not been a US Permanent Resident for more than 15 years. She is also not eligible for the easier version of the civics exam, since she has not been a US Permanent Resident for more than 20 years. So she must be able to speak, read and write in English and take the civics examination unless she has a medical or psychological disability that makes her unable to learn English or unable to learn the information needed for the civics exam. The fact that she is illiterate in her own language does not remove these requirements, unless there is a medical reason for her illiteracy. If you would like to discuss this issue with me or you would like my assistance with filing your naturalization application, you can schedule a consultation appointment with me by calling 1-800-343-4890 or 901-682-6455. Standard consultation fee applies. schedule a consultation appointment with an immigration lawyer. Join Immigration Lawyer Ari Sauer on Facebook for regular updates. Connect with Ari Sauer on LinkedIn. Submit questions to The Immigration Answer Man by emailing your question to immigrationanswerman@gmail.com or by posting your question on Facebook, Twitter or LinkedIn. Questions submitted by email will be posted without the personal information unless specifically requested. Due to the volume of questions received, not all questions submitted will be answered. Only general questions can be answered on this blog. For answers to specific questions about your situation, please schedule a consultation. * This is an advertisement. Ari Sauer is a Memphis immigration lawyer with the Siskind Susser law firm. www.visalaw.com/ari.html. On this blog we answer questions as a service to our readers, but we cannot assume any liability related to reliance on anything herein, and responses to questions are not intended to establish an attorney-client relationship. Immigration laws and regulations are constantly changing and the rules stated may not apply to your situation. Readers are cautioned to schedule a consultation with an immigration lawyer before acting on anything stated in this blog. This blog is not intended to substitute for a consultation with a qualified immigration law attorney. Ari Sauer is licensed to practice law through the states of Tennessee, New York and New Jersey but is eligible to assist clients from throughout the US. Certification as an Immigration Specialist is not currently available in Tennessee, New York or New Jersey. Siskind Susser limits its practice strictly to immigration law, a Federal practice area, and we do not claim expertise in the laws of states other than where our attorneys are licensed. I have a 67 year old mother she has been a permanent resident for more than 25 years does she still have to take the civics exam test? Yes. But since she is over 65 and has been a US Permanent Resident (green card holder) for more than 20 years, she may be eligible to only need to study 25 questions for the civics test, rather than the normal 100 questions. Hello, My mother is 82 year old and has been living in USA for 5 years. She can speak, read and write, She studied all immigration questions and can answer them all. However, if I talk to her in English, she can understand my English, but when an American person speaks to her she can’t understand. So, she can speak read and write but can’t understand an American speech yet. What would you advice in this case? Larissa, I find that often it can make a big difference, with clients in your mother’s situation, for them to have a good and experienced immigration lawyer who can help them to prepare for the interview, to guide family members on how to help them prepare for the interview, and also to attend the interview with them. Having an attorney to do these things is not a guarantee, but I have often been able to take client’s who thought that they weren’t ready, and even some who had previously been denied for English, and to help them through the process to becoming citizens. I have a 70-year-old mother in law and she can’t read or write and she has been on a green card for 5 years. Now she wants to apply for citizenship but she can’t read nor write, not because of some disability but she has never been to school cause she has been a mother at an early age and never went to school, and to teach her will take years at her age. What’s your advice for my mother in law to get her citizenship? I wish they can accept interpreters in the interviews. Unfortunately, since the cause is not a medical or mental disability, she will not be exempt from the requirement to speak, read, and write in English until she has been a green card holder for at least 15 years. If you would like to have a consultation appointment with me to learn more about this, you can call 901-507-4270, and my paralegal, Jessica, can help you to schedule an appointment. * This is an advertisement. 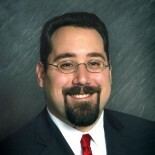 Ari Sauer is a Memphis immigration lawyer with the Siskind Susser law firm: http://www.visalaw.com/ari.html. On this blog we answer questions as a service to our readers, but we cannot assume any liability related to reliance on anything herein, and responses to questions are not intended to establish an attorney-client relationship. Immigration laws and regulations are constantly changing and the rules stated may not apply to your situation. Readers are cautioned to schedule a consultation with an immigration lawyer before acting on anything stated in this blog. This blog is not intended to substitute for a consultation with a qualified immigration law attorney. Ari Sauer is licensed to practice law through the states of Tennessee, New York and New Jersey but is eligible to assist clients from throughout the US. Certification as an Immigration Specialist is not currently available in Tennessee, New York or New Jersey. Siskind Susser limits its practice strictly to immigration law, a Federal practice area, and we do not claim expertise in the laws of states other than where our attorneys are licensed. Yes. If the reason why she can’t learn the information for the civics exam is because she has a physical or mental impairment. But it takes more than a letter from her doctor. USCIS doesn’t like to grant a waiver of the civics examination. If you would like to discuss this further, or you would like our assistance with this, you can schedule a consultation appointment with me by calling 901-507-4270 and my paralegal, Jessica, can assist you with scheduling a consultation appointment. * This is an advertisement. Ari Sauer is a Memphis immigration lawyer with the Siskind Susser law firm. On this blog we answer questions as a service to our readers, but we cannot assume any liability related to reliance on anything herein, and responses to questions are not intended to establish an attorney-client relationship. Immigration laws and regulations are constantly changing and the rules stated may not apply to your situation. Readers are cautioned to schedule a consultation with an immigration lawyer before acting on anything stated in this blog. This blog is not intended to substitute for a consultation with a qualified immigration law attorney. Ari Sauer is licensed to practice law through the states of Tennessee, New York and New Jersey but is eligible to assist clients from throughout the US. Certification as an Immigration Specialist is not currently available in Tennessee, New York or New Jersey. Siskind Susser limits its practice strictly to immigration law, a Federal practice area, and we do not claim expertise in the laws of states other than where our attorneys are licensed. Under no condition should anyone living in the united states be exempt from speaking our language.this is my country . My mom she cant to speak English .and she leave this country 9 years on green card and she want to be citizen. How? Being able to pass the English requirement is only one of the requirements for eligibility to naturalize to become a US citizen. Among the other requirements are a physical presence requirement (being physically in the US for a certain amount of time within the past 5 years or 3 years) and a requirement that the foreign national continue to maintain the US as their permanent residence. Someone who has not been living in the US for the past 9 years would not meet these eligibility requirements to apply for naturalization. My mother who is 96years old is currently staying u.s. since March this year and is mentally unstable but healthy relatively. There is no other care giver but me so I desperatly make her to the legal status and get medical care in U.S. Is there any way? And immediately. My mother never work in united states and she wants apply for citizenship .i m the one who take of her ..do i have to send copies of my tax forms to department of immigration with her application? If a permanent resident was not required to file tax returns because they did not have sufficient income (including income earned from outside the US), then they will not be required to present tax returns when they apply for naturalization. In that situation, they should obtain a letter from their CPA explaining that they were not required to file tax returns because they did not earn sufficient income. If the permanent resident was not required to file tax returns, but was included as a dependent on another taxpayer returns, then USCIS may want to see the tax returns from the primary taxpayer. However, if the foreign national was earning income in the US or abroad and did not file tax returns because they did not consider themselves to be residents of the US, or they filed tax returns as a Nonresidents (Form 1040NR or Form 1040NR-EZ) then that can create an issue of eligibility to apply for naturalization. They should definitely consult with an experienced immigration lawyer before applying. * This is an advertisement. Ari Sauer is a Memphis immigration lawyer with the Siskind Susser law firm. http://www.visalaw.com/ari.htmlhttp://www.visalaw.com/ari.html. On this blog we answer questions as a service to our readers, but we cannot assume any liability related to reliance on anything herein, and responses to questions are not intended to establish an attorney-client relationship. Immigration laws and regulations are constantly changing and the rules stated may not apply to your situation. Readers are cautioned to schedule a consultation with an immigration lawyer before acting on anything stated in this blog. This blog is not intended to substitute for a consultation with a qualified immigration law attorney. Ari Sauer is licensed to practice law through the states of Tennessee, New York and New Jersey but is eligible to assist clients from throughout the US. Certification as an Immigration Specialist is not currently available in Tennessee, New York or New Jersey. Siskind Susser limits its practice strictly to immigration law, a Federal practice area, and we do not claim expertise in the laws of states other than where our attorneys are licensed. If an applicant can show that she meets the age and residency requirements listed above, she can be exempt from the requirement to be able to read and write English. Otherwise the applicant would have to be eligible for a medical exemption, which requires showing that there is a medical or mental reason why the applicant is unable to learn to read and write. Some people are just not able to overcome this requirement and must remain permanent residents. They are eligible to continue being permanent residents their entire life as long as they follow the requirements for that status to avoid abandoning their status or doing something that makes them removable. * This is an advertisement. Ari Sauer is a Memphis immigration lawyer with the Siskind Susser law firm. http://www.visalaw.com/ari.html. On this blog we answer questions as a service to our readers, but we cannot assume any liability related to reliance on anything herein, and responses to questions are not intended to establish an attorney-client relationship. Immigration laws and regulations are constantly changing and the rules stated may not apply to your situation. Readers are cautioned to schedule a consultation with an immigration lawyer before acting on anything stated in this blog. This blog is not intended to substitute for a consultation with a qualified immigration law attorney. Ari Sauer is licensed to practice law through the states of Tennessee, New York and New Jersey but is eligible to assist clients from throughout the US. Certification as an Immigration Specialist is not currently available in Tennessee, New York or New Jersey. Siskind Susser limits its practice strictly to immigration law, a Federal practice area, and we do not claim expertise in the laws of states other than where our attorneys are licensed. This entry was posted on November 20, 2012 by Immigration Lawyer Ari Sauer - The Immigration Answer Man in citizenship, Citizenship & Naturalization, naturalization.